It seems that two U.S.-based CRISPR research groups—one at U.C Berkeley and the other based at the Broad Institute of MIT and Harvard—are destined to go head to head well into the future. Yesterday, an all-star cast of researchers and biotech veterans including CRISPR pioneer Feng Zhang, launched Sherlock Biosciences, a diagnostics company that will leverage synthetic biology and intellectual property related to the CRISPR patents held by the Broad and Harvard University’s Wyss Institute. Sherlock comes into the market roughly a year after U.C. Berkeley’s Jennifer Doudna and partners launched Mammoth Biosciences, a company that also plans to use CRISPR technology licensed from Doudna’s lab to develop a point-of-care test enabling fast, simultaneous detection of multiple conditions, in real time, both in the hospital and at home, through a single credit card-sized strip form factor. The company subsequenty announced it raised $23 million dollars to fund initial development of the test. With the debut of Sherlock, it seems the rivalry between U.C Berkeley and the Broad—both of which have been locked for years in legal wranglings over CRISPR-Cas9 patent rights—has moved onto the next frontier: diagnostics. 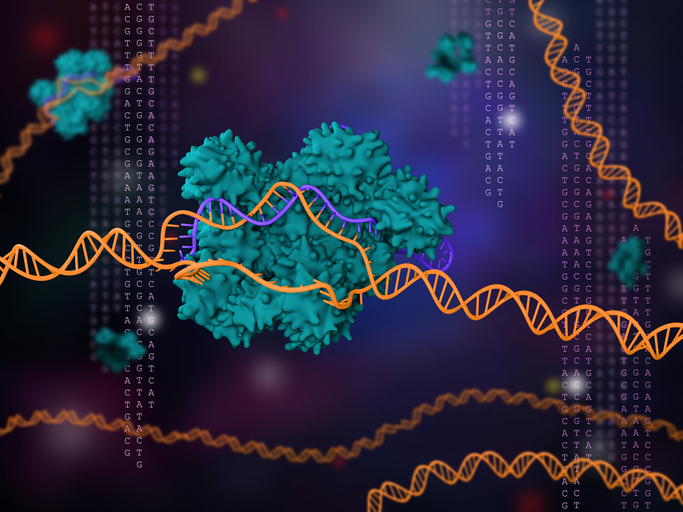 In February 2018, Doudna and Zhang simultaneously published research in the journal Science detailing their respectives uses of the CRISPR Cas12 enzyme as a detection tool with diagnositc applications. Sherlock takes its name from one of its two core technologies—Specific High-sensitivity Enzymatic Reporter unLOCKing (SHERLOCK). The technology, which has been described in four separate publications in Science, is able to detect genetic “fingerprints” across multiple organisms or sample types. The value of the two technologies, the company adds, is that neither requires complex instruments to provide a result, which could make testing available for disease detection both at home and in the field. Potential applications include in oncology, infection identification and food safety. David Walt, Ph.D., recognized diagnostics expert—Sherlock Biosciences director; Illumina scientific founder; Hansjörg Wyss Professor of Biologically Inspired Engineering at Harvard Medical School; professor of pathology at Brigham and Women’s Hospital; Howard Hughes Medical Institute professor.